2. 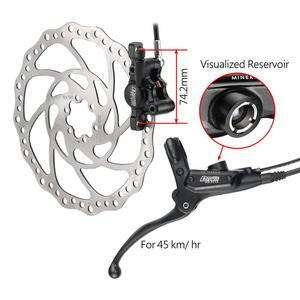 Include disc brake, caliper and brake pump 3. Main Spec could be customized P.S. SPEC We am fraid that the disc brake might not fit your rear fork , please check the SPEC below. Or could you please advise your requirement. Thank you! 5 YRS Ningbo Kaiwei Bicycle Parts Co., Ltd.
We manufacture more than 25 kinds bicycle parts for 30years. 500 workers and 10,0000 m 2 workshop . We both do OEM and ODM,export goods to European,America ,Australia, Southeast Asia ,etc. 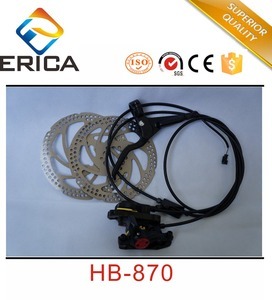 3 YRS Karasawa Traffic Equipment (Taizhou) Co., Ltd.
2 YRS Linq Bike (Kunshan) Co., Ltd.
this hidden wire beake sensor is more The features of HBS is, can use generic brake, without the use of special brake lever. Sensor installed on the soft shaft of the brake, detection the movement of brake lines online. HWBS is a long life, small volume, free maintenance, micro-consumption electronic, low voltage power supply, non-contact detection of magnetic sensors. 3. Sample order acceptable! 4. MOQ: Any order is welcome C. For more details ,please contact me drirectly ! 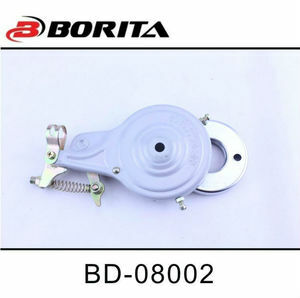 110mm professional e bike drum brake E-bike/scooter drumbrake; Specifications as following: 1.Model: KMZ110F 2.Finished:SIL BL 3.Center hole demension:9.6mm 10mm 12MM 4.Materila: Steel or aluminum 5.Inside of brake cover: alloy brake shoes 6.Packing:50sets/ export carton less than 20kgs around for shipping by sea or by air. 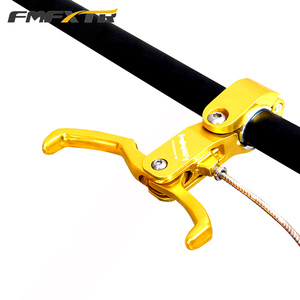 Wuxing Silver Black Aluminum Alloy Brake Lever Electric Bike Hand Brake lever, E-bike and Scooter Accessories. Factory sells. 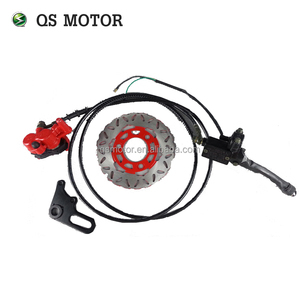 If you buy the electric bike conversion kit, you will realize that the kit want you to change the original brake level, but your brake level is good brand, very nice design, you don't want to change it-----Now the brake sensor needed. 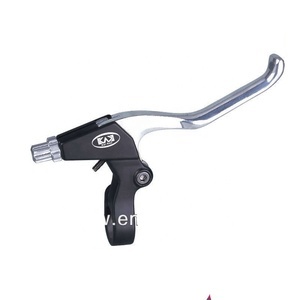 Alibaba.com offers 45,005 e bike brake products. About 46% of these are electric bicycle, 6% are other electric bicycle parts, and 1% are bicycle brake. 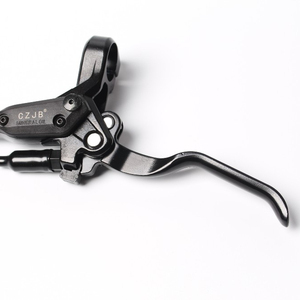 A wide variety of e bike brake options are available to you, such as disc brake, levers, and pads. You can also choose from aluminum, steel, and plastic. As well as from bmx, mountain bikes, and cruisers. And whether e bike brake is free samples, or paid samples. 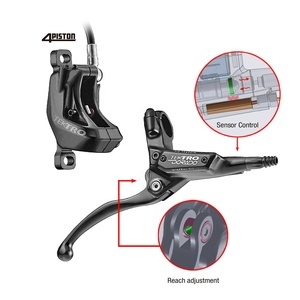 There are 45,005 e bike brake suppliers, mainly located in Asia. 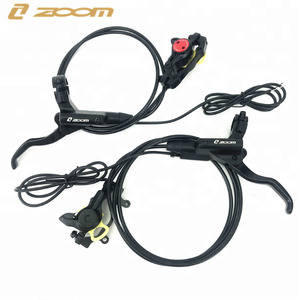 The top supplying country is China (Mainland), which supply 100% of e bike brake respectively. 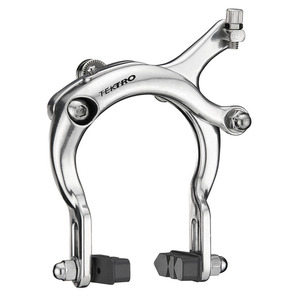 E bike brake products are most popular in Western Europe, Northern Europe, and Eastern Europe. You can ensure product safety by selecting from certified suppliers, including 5,856 with ISO9001, 1,140 with Other, and 712 with ISO14001 certification.